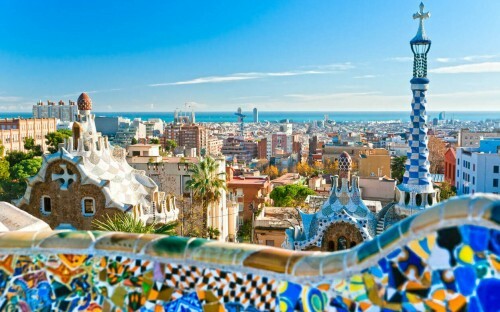 Barcelona is where unmatched creativity, rich historical tradition, and cutting-edge technological innovations have merged to create a vibrant, modern Mediterranean city. With the ghost of Picasso present in the vivid graffiti on the streets, and architecture that distinguishes the city from anywhere else in the world, Barcelona has always celebrated creativity. Doing an MBA in Barcelona not only allows you to be immersed in a sunny, laid-back lifestyle, but also provides proximity to Spain, and Europe's, most rapidly-growing innovation districts. ESADE Business School, located in the Sant Cugat municipality of Barcelona, brings together these characteristics of the city to offer an MBA program ranked among the top 20 in the world. A city that has been home to Pablo Picasso, Salvador Dalí, and Joan Miró requires no further evidence of its creative energy. Antoni Gaudí's neo-gothic and wonderfully intricate Sagrada Familia draws 3,000,000 tourists every year, while street art in little back alleys give an enchanted, museum-feel to the entire city. Barcelona's creative essence is central to the MBA program at ESADE Business School. Speaking to BusinessBecause in July this year, associate dean at ESADE, Luis Vives, outlined how radical innovations and industry transformations have forced us to rethink our ideas about business. In response to these disruptions, ESADE has pioneered a new approach to business education coined 'creactivism'. This concept combines an understanding of social impact central to activism, with the creative spirit that drives disruption and transformation. Barcelona is firmly on the map when it comes to developing cutting-edge technology, and has been named one of the world's best smart cities. An estimated 47,000 jobs have been created through implementing Internet of Things (IoT) systems in the city. Facebook made a big announcement earlier this year to set up a service in the city combating fake news on its platform, and Barcelona hosts the world’s largest exhibition of mobile technologies with over 100,000 attendees last year. Information and Communications Technology represents 7% of the city's economy. The ESADE MBA reflects the city's emphasis on becoming a global technology hub—around 32% of graduates proceed to working in the technology sector. Spanish is the second most spoken language in the world, and Barcelona itself has been a distinctly cosmopolitan city since its birth. The city's geographic location confers a strategic advantage as Barcelona is central to the economic activity of the Euro-Mediterranean region, and acts as bridge between Europe and Africa. Around 79% of ESADE's MBA graduates in the class of 2017 left Spain to work in reputed global companies, while 62% found work outside of their home countries. Additionally, over 50 nationalities are represented within the MBA cohort, while 97% of candidates are international students. This comes as no surprise, as Barcelona has been ranked third in Europe and sixth in the world for international enrolment according to MBA City Monitor 2017. According to a Mobile World Capital report, Barcelona is ranked the third most attractive city for startup founders. Making Barcelona one of the world's startup hubs has no doubt been an active effort on the part of major industry players in the city. Earlier this year, ESADE Business School inaugurated its 'Rambla of Innovation'—a new ecosystem for entrepreneurship and innovation at the business school's Sant Cugat campus in Barcelona. The redesigned space hosts five learning laboratories, each created for a specialized purpose, and acts as a meeting point between research and the business world. It is worth noting that Pier 01 is merely a few meters away from Barceloneta Beach, just in case local entrepreneurs might fancy a dip in the sea before returning to the startup grind. The sun-soaked city boasts a perfect climate all year round, a laid-back lifestyle, and vibrant festivals or carnivals in the summer months. Doing an MBA is hard work but with so many options to relax in the city, that hard work feels worthwhile.